Learn about these medieval warriors - from the Black Prince to Joan of Arc - as you copy 20 simple sketches of courageous knights with their horses and weapons, shields and tournaments. Ages 8 and up. Shrink-wrapped with a wooden stylus for drawing on black-coated paper to reveal colors beneath. 64 pages. 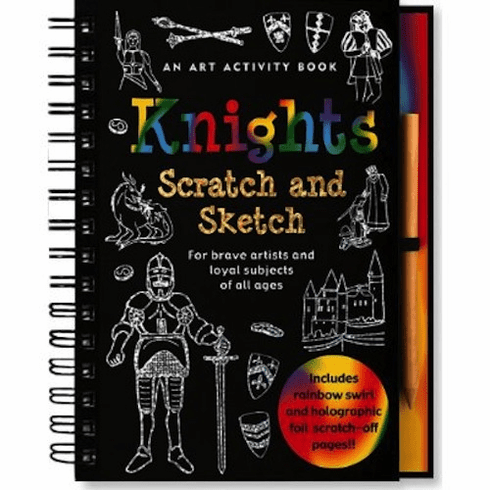 Includes 20 scratch-off, 20 illustrated, 20 sketch pages. 6-3/8 wide x 8-1/2 high; wire-o bound hardcover.